With the Supreme Court all set to hear Congress’ plea on government formation in Karnataka today, two applications have been filed in this matter –one by sitting BJP MLA R Ashoka claiming that the Governor had rightly invited B S Yeddyurappa to form the government and another application challenging the government’s decision to nominate one member of Anglo-Indian community to State Assembly before the floor test. R Ashoka, the sitting BJP MLA from Padmanabanagar, sought impleadment as co-respondent in the petition moved by Congress leader G Parmeshwara challenging the Governor’s invitation to BSY to form a government. Ashoka, in his application filed by advocate R D Upadhyay, says he has moved court against the Back-handed attempt at subverting the exercise of discretion of a high constitutional functionary such as a Governor in a State. He submits that “there are no specific guidelines in the Constitution on what the Governor should do or whom he or she should invite in case there is a face/off between parties or coalition allies. “In this matter, the Sarkaria Commission recommendations, which were affirmed by a Constitution Bench of this Hon’ble Court in Rameshwar Prasad v. Union of India are often the guiding principle and are the main reference point. “The Commission report details the options before the governor in a situation where no single party has obtained an absolute majority. The order of preference for the Governor in such case is: (i) An alliance of parties that was formed prior to the elections (ii) The single largest party staking a claim to form the government with the support of others, including independents (iii) A post-electoral coalition of parties, with all the partners in the coalition joining the government (iv) A post-electoral alliance of political parties, with some of the parties in the alliance forming a government and the remaining political parties, including independents, supporting the government from outside,” he says. Ashoka also cites Punchhi commission and says, “the Hon’ble Governor of Karnataka rightly invited Mr. B.S. Yedurappa, the Leader of BJP Legislative Council to take oath as the Chief Minister of Karnataka”. The other petition has been filed by Clive Michael VanBuerle, the vice president of All-India Anglo Indian Association. He has challenged the “illegal and impermissible proposed recommendation/ decision of the Karnataka government to appoint/ nominate one member of the Anglo Indian community in the State Legislative Assembly without proving majority in the floor test”. “This decision is in utter violation of the decision of the High Court in Anil Kumar Jha Vs UoI wherein the apex court had held that the nomination of an Anglo Indian member under Article 333 should take place after the floor test and the floor test should remain confined to elected members only,” he says. 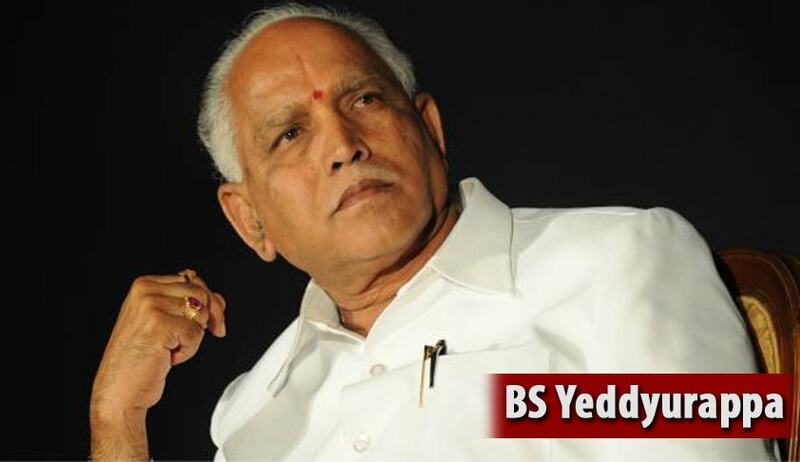 Clive also says he has learnt from newspaper reports that B S Yeddyurappa, after being sworn in as the chief minister of Karnataka intends to swear in a member of Anglo Indian community and submitted that this action is “malafide, illegal and impermissible and is attempted solely to influence the trust vote”.